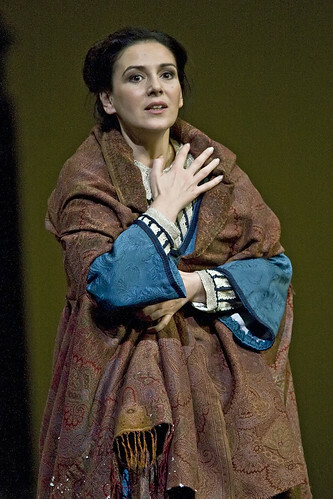 Greek soprano Alexia Voulgaridou made her Royal Opera debut in 2008 as Mimì (La bohème) and has since sung Marguerite (Faust) for The Royal Opera. Voulgaridou studied in Athens and at the Munich Conservatory with Daphne Evangelatos. Early roles included Susanna (Le nozze di Figaro), Sophie (Der Rosenkavalier), Violetta (La traviata), Adina (L’elisir d’amore) and the three heroines (Les Contes d’Hoffmann). She sings regularly with the Hamburg State Opera, where her many roles include Marguerite, Blanche (Dialogues des Carmélites), Cio-Cio-San (Madama Butterfly), Nedda (Cavalleria rusticana) and Desdemona (Verdi’s Otello). Engagements elsewhere include Tosca and Magda (La rondine) for Opera Australia, Mimì, Massenet’s Manon and Micaëla (Carmen) for La Scala, Milan, Luisa Miller for Stuttgart State Opera, Maria (Mazepa) for De Vlaamse Opera, Amelia Grimaldi (Simon Boccanegra) in Toulouse and Anna Bolena in Turin and Palermo. 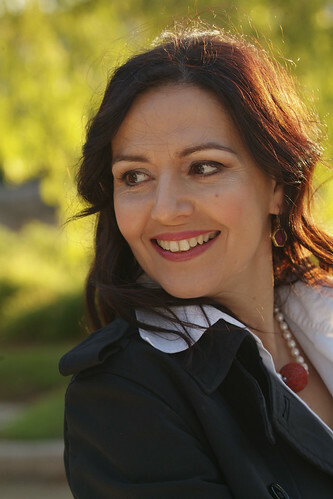 Voulgaridou’s concert performances include Verdi’s Requiem at the Ravenna Festival under Riccardo Muti. Her recordings include a solo album with Nicola Luisotti and the Munich Radio Orchestra on the Arte Nova label.